Running shoes are normally considered an inappropriate shoe for volleyball. The reasons for this are linked to the design of each shoe and the different requirements in terms or structure, support, and comfort. For running, athletes need support in the front and backs of the shoe. This contrasts with the volleyball players whose actions: sharp changes of direction, jumping, 360-degree movement will require different types of support and comfort. In most cases you would be better off seeking a specialized volleyball shoe.. However, if you look carefully you may find some excellent reasons for choosing running shoes to take to the volleyball court. 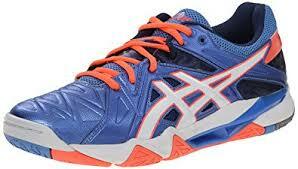 Below we will discuss the 5 best running shoes for volleyball. Volleyball shoes, for all their advantages, are decidedly one dimensional. Primarily, they are designed with one thought in mind, wooden indoor courts. This can make purchasing volleyball sneakers somewhat expensive given they only have a single usage. In my experience, playing outdoor volleyball with indoor shoes can do significant damage to the shoe’s grip; even after a short playing period. 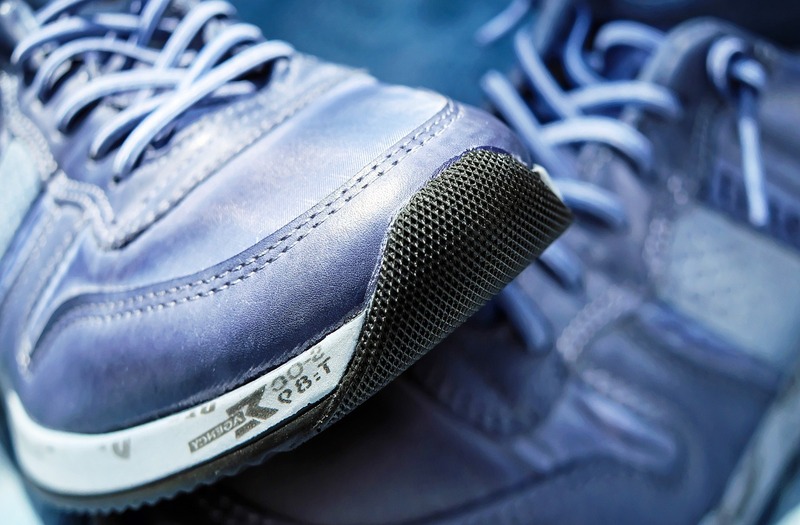 Running shoes, on the other hand, are designed for multiple surfaces indoor and outdoor. They usually have a sturdier grip so that you can play indoors, outdoors, or even wear them for recreational purposes without damaging the shoe. Buying a pair of running shoes for volleyball can be an astute, good value purchase. If you do this right, you will have a much more versatile pair of shoes for a similar price. The volleyball sportswear market is relatively niche in comparison with other sportswear markets like football, tennis and running. 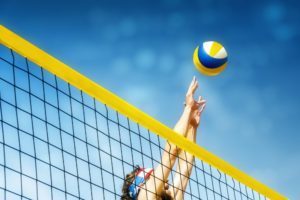 The advantages of such a niche market are obvious: You will have something that is specifically designed to be most useful on a volley ball court. The disadvantages are less obvious but, one of the key disadvantages to using specialized volleyball footwear is to do with technology. Running equipment is a bigger, international market place. Correspondingly, the budgets for technology, design, and research dwarf smaller niche markets like volleyball. What this means for the individual is that choosing running shoes for volleyball will give you access to the latest cutting-edge sports technology. In previous decades the justifications for choosing a running shoe for volleyball were slim to none. However, in recent years the advent of the ‘minimalist’ running shoe has changed the rules of the game. The characteristic design features of a volleyball shoe are a thin sole, to protect the ankle during jumping, a lightweight feel and strong grip. These features allow for quick movements and keep the user safe from injuries whilst maximizing the potential of their game. These key features are matched by the minimalist running shoe which praises thin soles, maximum ventilation, and strong grip. 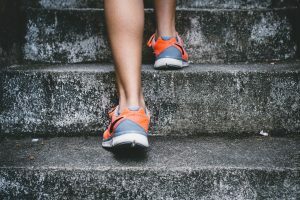 The stark similarities between them remits for these two types of shoe mean that the modern running shoe is a viable option for playing volleyball. In addition, you will be getting the latest technology and a pair of shoes that are versatile enough to wear for indoor and outdoor volleyball. Merrell is regarded as one of the leading brands in minimalist footwear. The Vapor Glove 1 was the shoe of choice for runners who were seeking a move away from the traditional thick heeled running shoe. The second incarnation of this shoe, the Merrell Vapor Glove 2 is a proven success in terms of both cost and features. The upper shoe is constructed from a wafer-thin mesh that allows for the maximum level of breathability without sacrificing structure and support. It also molds to the foot straight out of the box making it one of the most comfortable shoes in the market place. Inside the shoe has a flexible EVA foam providing comfort for even the most unusual foot shapes. One of the key differentials between the Vapor Glove and its competitors is in the mid-sole. Unlike most minimalist footwear, the Merrell Vapor Glove 2 has a durable cushion in the mid-sole providing greater versatility, comfort, and safety. There are a myriad of reasons as to why the Merrell Vapour Glove 2 is an excellent choice for volleyball. The first is that the shoe has a thin sole. Volleyball requires a lot of jumping which can cause injuries if the shoes are not suitable or have a thick heel. The thin soles of the Vapour Glove are ideal for the typical movements in volleyball. Despite having a thin sole these shoes offer an impressive amount of grip which is ideal for the stop-start motions required in a fast-paced volleyball game. The addition of the structured mid-sole is a great benefit as it provides structure and support to the ball of the foot; a key design element in most specialized volleyball shoes. Overall the look, feel and grip of the Merrell Vapour Glove 2 make this shoe a wise choice for volleyball and, for the price, it is great value for money. The latest in the space age shoe market. The Vibram Five Fingers KMD Sport has a striking design due to its individually crafted toes. What makes the KMD sport standout is its status a multi-sport shoe. The shoe has individual grips for each of its fingers and is constructed from a light weight mesh. The sole is lightweight and thin which makes it feel as though you are not wearing shoes at all. It also features a unique strap system to keep the feet in place when in use, providing additional support and protection from injury. What separates Vibram as a company from their competitors is their desire to incorporate the latest technologies into their footwear. The Five Fingers KMD Sport comes with an up to the minute anti-microbial treatment that prevents foot odor and a lightweight breathable design. The Vibram Five Fingers is something of a mixed bag when it comes to volleyball usage. Despite the marketing as a multi-sport shoe there are some issues in terms of the shoes traction. This manifest itself particularly on outdoor courts when the terrain may be less than ideal. Although, the KMD Sport more than makes up for its lack of grip with the sheer amount of balance. The Five Fingered glove design gives you so much control in the toe and ball of the foot allowing for sharp changes of direction and speed. Deciding to choose the Vibram Five Fingers is going to depend a lot on your volleyball game. 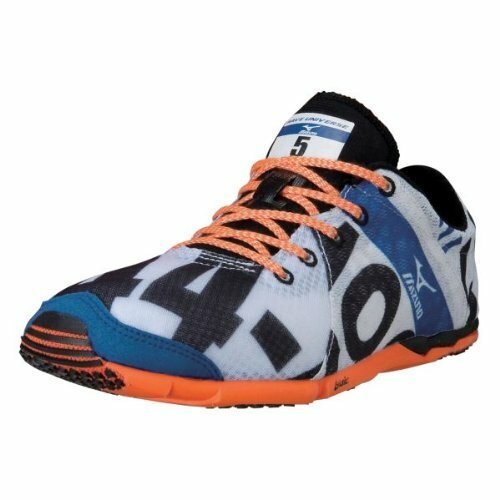 If you value balance, precision, and comfort over grip this may be the perfect choice to make the transition from running shoe to volleyball shoe. New Balance have been in the game a long time which is a testament to the quality and construction of their shoes. Their latest entry into the minimalist running shoe market is the New Balance 20v5 Minimus. A lightweight shoe with a thin sole and mesh upper body. The shoes feature a Vibram outsole which provides outstanding levels of grip, support, and comfort. The interior of the shoe is comfortable and the outer stretches to fit. It is also sturdy and supportive with a EVA foot bed and IMEVA in the midsole providing greater support and comfort to the balls of the feet. Despite being exceptionally lightweight the 20v5 Minimus is a highly durable, long lasting product; proof of the shoes quality design and manufacture. I mentioned in the introduction that one of the prime advantages of opting for a running shoe over a specialized volleyball shoe is durability. 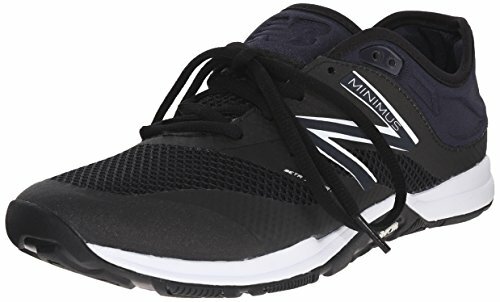 The New Balance 20v5 Minimus is well made and will last you a long time making it a great option in terms of value for money. In addition, the shoe is versatile and will perform in both in-door and out-door environments without sacrificing grip. The grip itself is superb and you will have no problem with rapid changes in direction, halts and leaps. The combination of the mesh upper with the EVA interior will cradle your foot, providing structure and comfort. The added padding in the mid-sole is also ideal for volleyball playing because it supports the ball of your foot meaning you will be safe and comfortable in even the longest, most intense matches. This shoe doesn’t come cheap, but the features, structure and durability make the New Balance 20v5 Minimus superb value for money. Another offering from Merell on our list is the Bare Access Arc 4 running shoe. The standout feature of this shoe is the hyper-responsive insole. Utilizing the latest technology available Merrell have a designed a shoe that is lightweight and structurally sound. 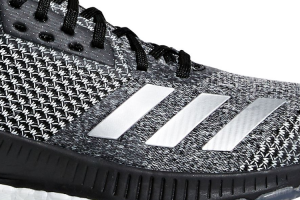 The cushioning in the sole of this shoe is designed to give ground to foot feedback. Ground to foot feedback means the shoe’s sole adapts to the movement of the foot and the terrain below giving you unprecedented levels of comfort and performance. As with most minimalist shoes the upper is a thin mesh which gives good circulation to the feet and toes. The Merrell Bare Access Arc 4 is also the lightest shoe on the market weighing just 181g for the male’s shoe and 128g for the woman’s. This weight category puts in it in the same category as most volleyball shoes. In addition to all these great features the Merrell Bare Access Arc 4 is in a reasonable price range. The movements in volleyball require shoes that support the whole foot, particularly the arch and ball. Merrell’s Bare Access Arc 4 is designed with the sole in mind. Providing huge amounts of support to the user’s foot it is an extremely responsive shoe that will handle sharp movements, twists, turns and leaps. The thin soles have a tremendous amount of grip courtesy of the flagship Vibram pods. 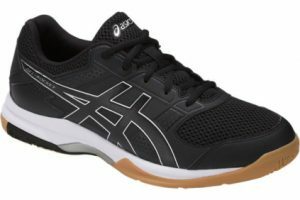 The price is affordable especially when comparing with specialist volleyball shoes and the shoes are designed for both in-door and out-door usage. Although not the most durable shoe the low price more than makes up for that. Overall an excellent choice for volleyball. This list wouldn’t be complete without an offering from Mizuno. Mizuno running shoes have been the shoe of choice for volleyball players who wanted something a little different without compromising on safety, support, or design. The Mizuno Wave Universe 5 is a striking multi-colored shoe that will make you stand-out anywhere. One of the key features in all Mizuno shoes is the thermoplastic flexible wave plate in the mid-sole. This provides lots of support, helping to develop muscles in the ankles and feet. The Wave Universe 5 is also imbued with a G3 sole giving the user lots of grip and traction. The thin sole has additional ‘grip spots’ on the toes allowing for sharp movements. The thin upper mesh gives great breathability and circulation, keeping your feet cool. What makes this running shoe stand out from the pack is the structure and support provided by the inner and outer sole. On the outer sole the G3 technology will give a lot of grip on any surface. This is ideal for volleyball where sharp turns and rapid movement are frequent. Also, the additional grip dots underneath the toes are ideally situated given most of the game will be played on the balls of your feet. Inside the shoe, Mizuno’s waveplate technology will protect you from injury and provide good balance, structure, and comfort. For all this support and grip the sole itself is mind-bogglingly thin making it ideal for jumping and landing without damaging the ankle. If you are looking for a shoe that can translate from the track to the court effortlessly, you won’t find a better one than the Mizuno Wave Universe 5.